Photo of Baraka showing on my TV. Baraka is non-narrative film directed by Ron Fricke, and is often compared to Koyaanisqatsi, the first of the Qatsi films by Godfrey Reggio of which Fricke was cinematographer. ...includes footage of various landscapes, churches, ruins, religious ceremonies, and cities thrumming with life, filmed using time-lapse photography in order to capture the great pulse of humanity as it flocks and swarms in daily activity. ...filmed at 152 locations in 24 countries, it contains no dialogue. Instead of a story or plot, the film uses themes to present new perspectives and evoke emotion purely through cinema. The film was the first in over twenty years to be photographed in the 70mm Todd-AO format (released in 1992).> > >Click here for more at Wikipedia. I especially enjoyed these scenes of jetjak in Bali, and of a monk walking a busy city sidewalk in Japan. The title Baraka is a word that means blessing in a multitude of languages. Lucy Halverson, Head Instructor, Ginko Kyudojo. A day on the Mountain! 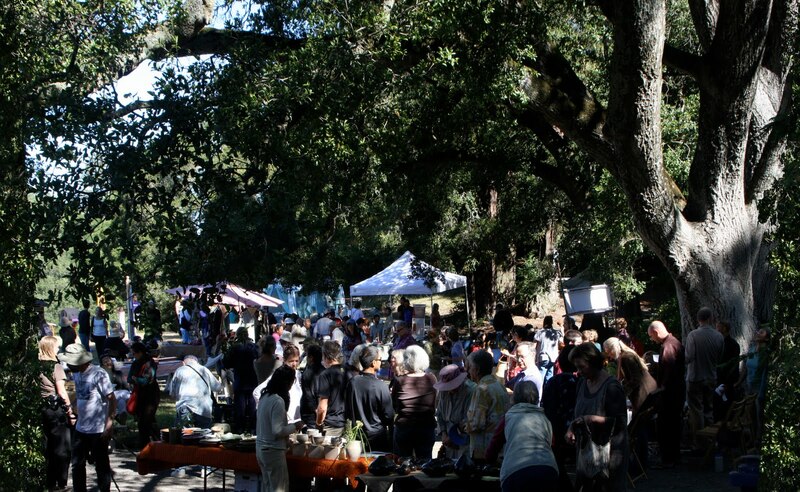 Local vendors and artists offered comtemporary pottery, paintings, photographs and textile art; homemade cookies, pies, baked goods, sumptuous foods and refreshing drinks under the oaks. Included special performances and demonstrations of taiko drumming, traditional Japanese tea ceremony, shakuhachi flute, koto stringed instrument and Kyudo "the way of the bow." ~ Sonoma Mountain Zen Center = smzc.net. 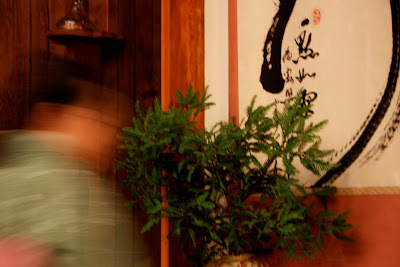 Jakusho Kwong-roshi, abbot of Sonoma Mountain Zen Center, has long envisioned creating a Mandala of buildings on Sonoma Mountain to continue Shunryu Suzuki-roshi’s lineage and support authentic practice, dedicated to the protection and awakening of all beings, for the next three hundred years. 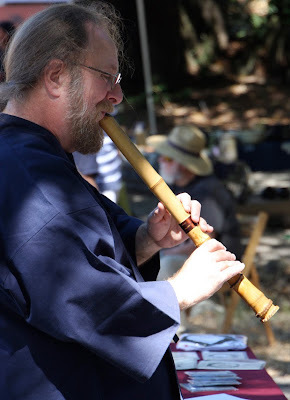 Sonoma Mountain Zen Center was formed by Jakusho Kwong-roshi in 1973 to continue the Soto Zen lineage of Shunryu Suzuki-roshi and to make everyday Zen available to people in Sonoma County. We are situated on 80 acres of rolling hills and mountainous land, located 11 miles from the town of Santa Rosa. Our sangha consists of a small residence and a larger membership that joins us in Zen practice from the local area, as well as other parts of the United States and Europe.